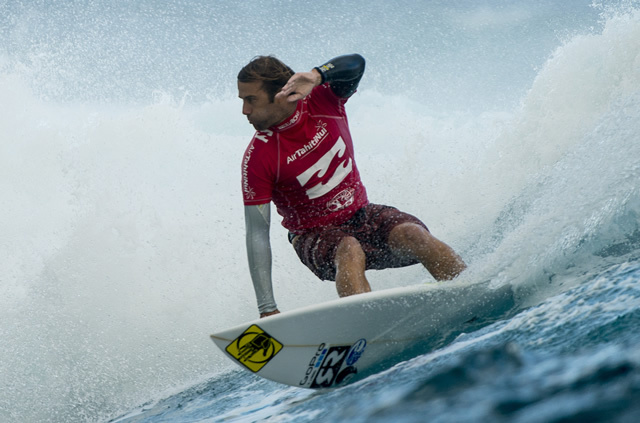 Billabong Pro Tahiti runs August 15th - 26th at Chopes. Adam Melling will be there looking for a good result to get his WCT requal campaign on track. Anthony Walsh will be in the Air Tahiti Nui Billabong Trials for the 8th time. Walshy has qualified for the main event once and missed by one spot 3 times. Good luck fellas. "At this point it appears that the majority of swell/surf will show during the first half of the waiting period and nothing major is currently on the horizon. Over the next few days we’ll be watching a developing low to the north of New Zealand, which is forecast to deliver a series of modest to medium size WSW/SW swells during the first few days of the waiting period. Current forecast charts/models has the first of these mid period and very westerly angled swells lining up for Thur/Fri the 15th-16th from the WSW with head high+ surf and sets running a bit overhead. A second, and potentially slightly stronger, SW swell is possible for Sun and Mon the 18th-19th. Stay tuned, we’ll have more concrete details on this run of swell as we see the storm develop in the next few days. Going further out, nothing major is currently on the horizon for roughly the last week of the waiting period. We’ll watch for a modest, mid period S swell around the 21st-22nd to be joined by small SW swell at roughly the same time." Walshy finished 2nd in the Trials and qualified for the main event in conditions that were rated among the worst seen in the event’s 13 year history. A lacklustre south-east swell produced only head-high waves battered by 20knot + south-east winds. In Round 1 Walshy scored a 10 with a sick pit, negotiating a seemingly unmakeable section , but couldn't find a solid back up and went into round 2. Later he found plenty of tube time against Nat Young and took the win, moving onto round 3. Mello also went down in round 1 and will surf vs Sebastian Zietz in Round 2 when competition resumes. Mello had a really close heat against his Oakley team mate in Round 2 but took the win on a count back. Adam only caught 3 waves compared to Sebas who caught 7 but made his 2 good ones count with some great tubes. He had a gnarly wipeout on a bomb, only surfacing half a second before the next one detonated on his noggin - hopefully no injury there. At the end of the heat Mello needed an 8.33 and threw himself into a beast that tried to destroy him while he was exiting. Adam made the wave , was rewarded with the score and moved into Round 3. Walshy pumped through some deep pits while laying serious rail against Slater but Old Baldy put on on show and took the win. Well done fellas.